These people are well trained Islamic agitprops. Our ignorant politicians pander to them. Their lies are nauseating, but they are believed by their leftist enablers. 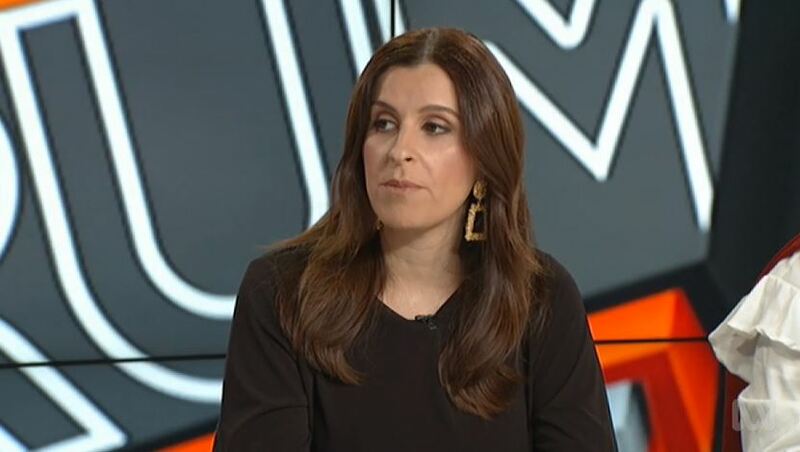 If Victorians want to know what bullying looks like look no further than the below video clip, it’s bullying 101. 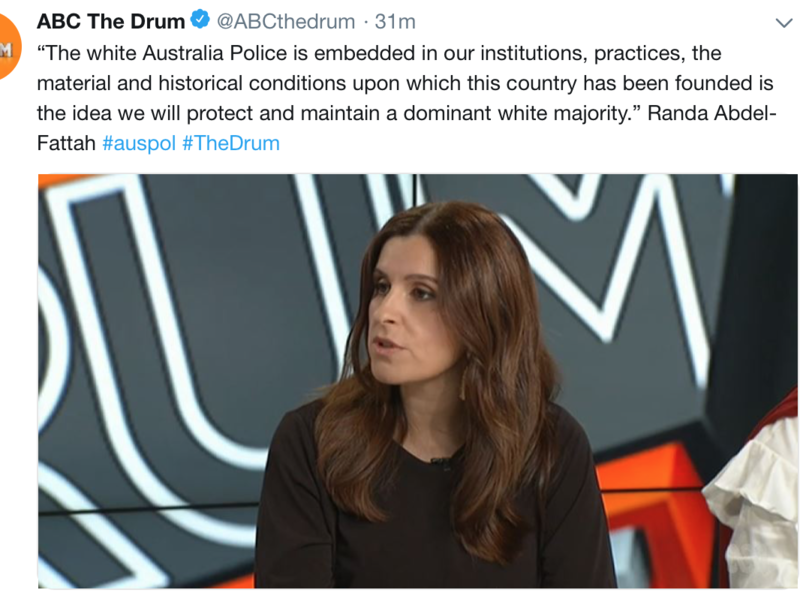 First up Koch is a liar and no one ever pulls him up, the reality is there has been 31 non-Muslim terrorist attacks in the last 30 years compared to 34,736 Islamic terrorist attacks since 911 white supremacists are not the problem in Australia, lying media and governments filling our country with terrorists are. As for Hinch do you ever hear him speak out about a home invasion? Have you ever heard him speak up and condemn the African violence? Have you ever heard him condemn anything pertaining to the crime in Victoria? 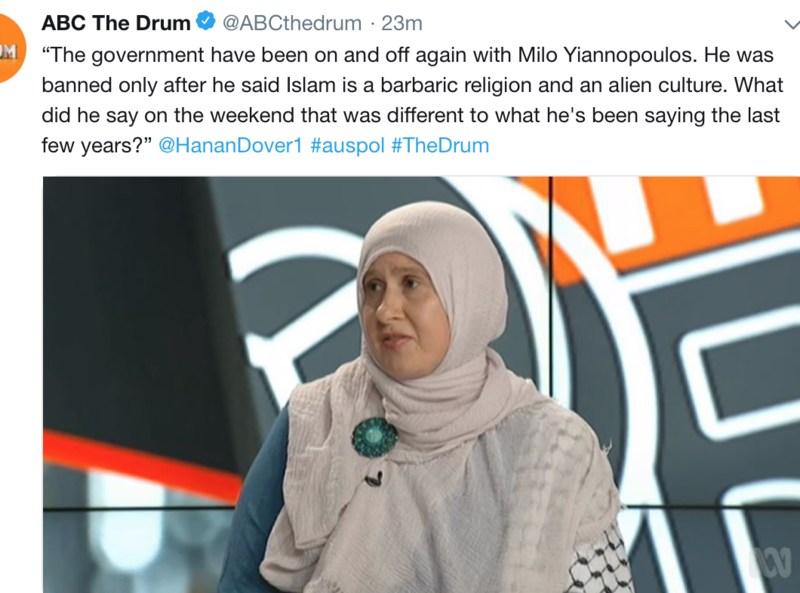 Not a peep, he’s a sucker but takes great delight in sitting a TV studio “BRAIN DEAD CENTRAL” and accuse Pauline Hanson of crap. 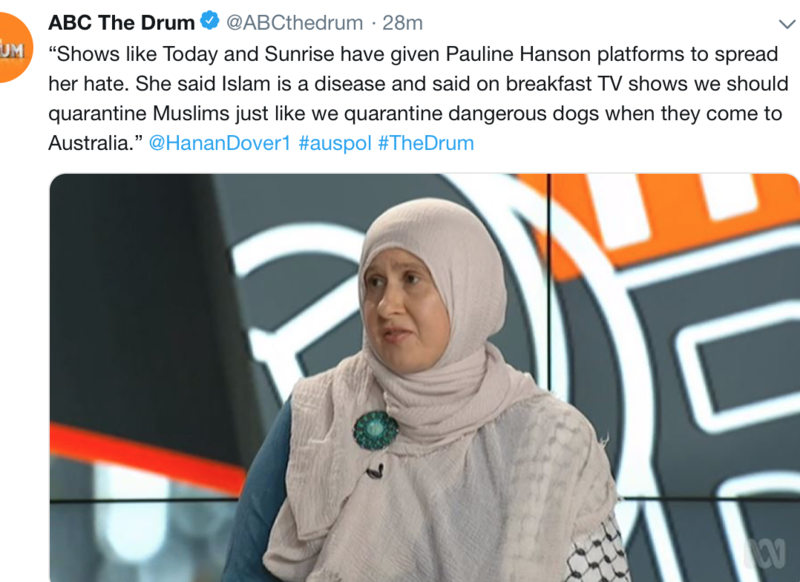 Pauline Hanson had nothing to do with what happened in New Zealand on Friday, we are not being told all the facts about New Zealand. Koch and Hinch are wankers of the highest level and bullies, remember Banks is all over Hinch like a bad rash. Everything is “racist” in the enlightened quarters. Which means nobody is or we all are. Anning is spot on and these creatures are disgraceful. How perverse. Here’s our unelected PM telling the mob it is okay to attack a sitting senator by smashing an egg on his head, but the senator is a criminal when he defends himself? Our pollies are traitors. Across the board. Change.org is a Soros funded outfit that perverts everything. The million “people” who signed are most likely Mohammedans from Pakistan to Malaysia and from Qatar to Timbuktu. If we’re so bad and they’re so good then why did they come to settle here? In the West, they are coddled minorities. There is no ‘oppression’. In countries that have been occupied by Mohammedans, infidel minorities have no rights. They are being systematically eradicated. 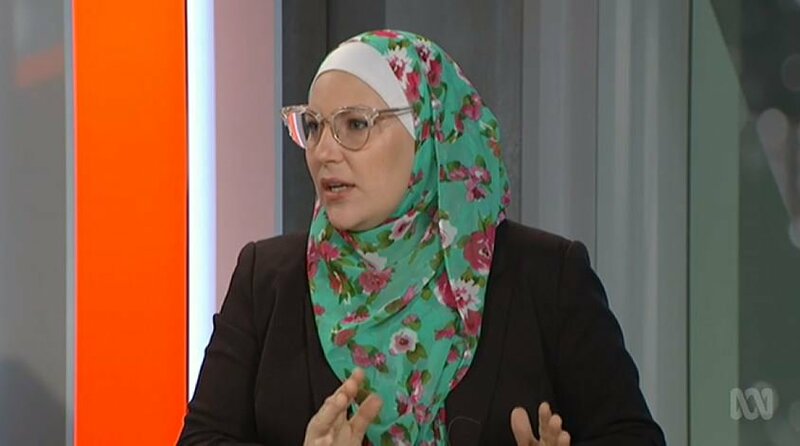 Previous PostScoMo squanders $55 million dollars to protect mosques from “right-wing extremists”Next PostArrested For Comments? good cataloguing lately, mate. have really appreciated it. These islam-infecteds are well trained (in the Alinsky Method) Islamic agitprops. Our coward politicians commit acts of Treason for them. … eg – William Connolly #(bad)EggThug!!! “Exterminate” islam-infecteds from Civilisd Societies !!! ALINSKY Method (What The Heck Is) ? The “targets” of such manipulation rarely, if ever, realize how they are being manipulated. If they do suspect, they generally have no idea how to defeat the process. This method is being used at all levels of government to force meetings toward PRESET conclusions. There are three steps to defeating this process. They are simple to learn, if not always easy to put into practice since the Facilitators are well trained in agitation techniques. Always be charming, pleasant and courteous. Speak in a normal voice to avoid seeming to be belligerent or aggressive. Write your question or statement down in advance to help you stay on track. These Change Agents are trained to twist the conversation around to make the questioner appear foolish or belligerent or aggressive. The idea being to put the questioner on the defensive. Often an attempt will be made to change the subject, digress or distort your intent. Always bring them back to the question you asked! “That is NOT what I stated. Do not be distracted or angered by their efforts to make you look bad. When the Facilitator realizes that putting you on the defensive is not going to work, quite often he, or she, will go into some long drawn out discussion of some unrelated or only vaguely related subject. Such a discussion may drag on for a number of minutes. The intent being to have the crowd become bored and forget what the original question was. “But you didn’t answer my question! Never, NEVER allow yourself to become angry. Anger directed toward the Change Agent makes him or her the victim. Their object is to become liked by the crowd, to be seen as a friend by a majority of those present to convince that majority the ideas of the Facilitator are correct and acceptable. There was no genocide. Theft of what? 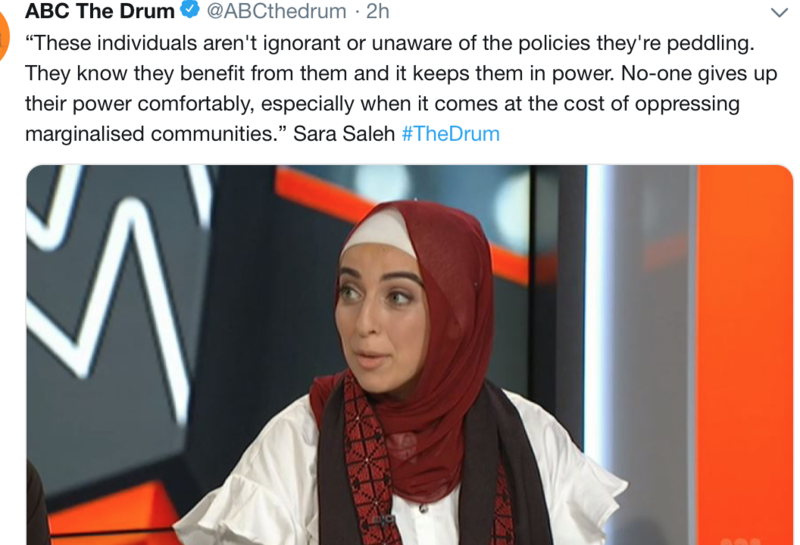 Then why, if the the muslim commentator is so outraged, at all these injustices which resulted in aborigines le now living in one of the best countries on earth, is she not leaving immediately? These ‘other’ are such hypocrites. Yes, they are ‘other’ – they’re not with us. A bunch of ignorant otherf#ckers? Projection. The Mohammedan agitprop is accusing us of what they have done and keep doing in all the lands they invaded. They annihilate or forcibly convert the natives and turn every land into a Mohammedan s#*thole.